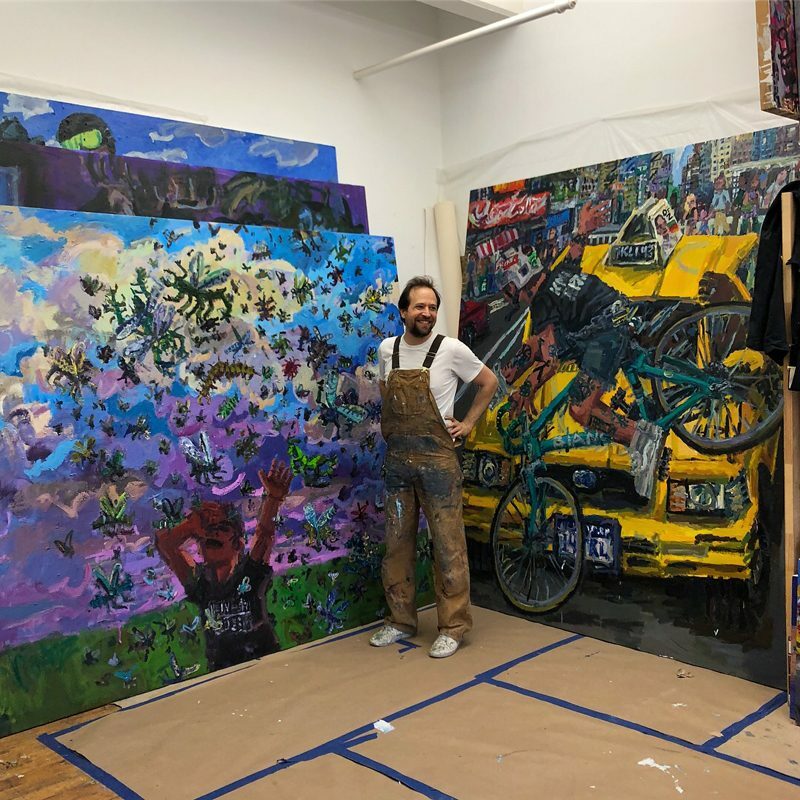 On the occasion of the Prince Street Gallery 8th National Juried Exhibition, curated by Dean Graham Nickson, we asked participating artists who are also Alumni: How does your work in this exhibition connect with or build upon the experiences and influences you gained at the New York Studio School? The Exhibition is on view February 2-February 27, 2016. Aaron Swindle: The experience at NYSS was invaluable. It provided me with space and time to rediscover myself as an artist, to be emotionally attuned to my natural temperaments, re-define my convictions, and rebuild confidence moving forward pursuing my creative purpose. 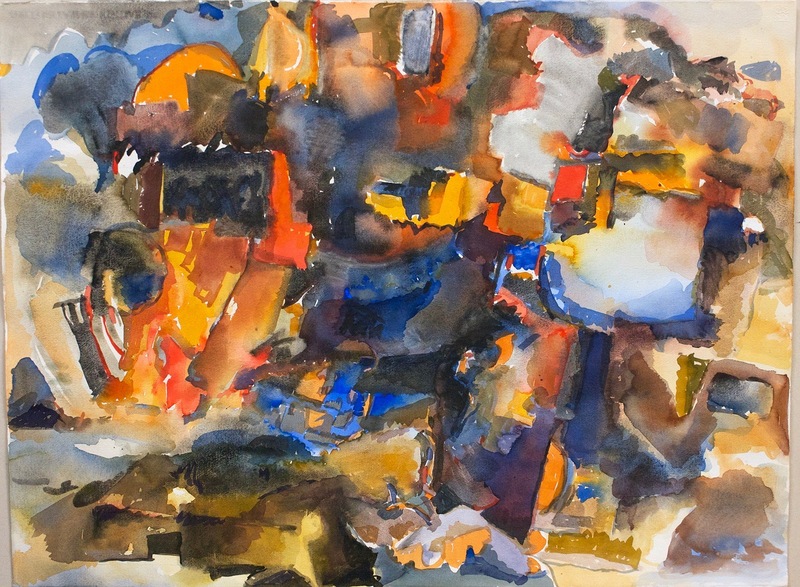 Without the established studio practice that began in NYSS, exposure to the wonderful work of faculty, and the experience of the intensive marathons, I would not have not been pushed to create watercolors nor establish my continued exploration with them. 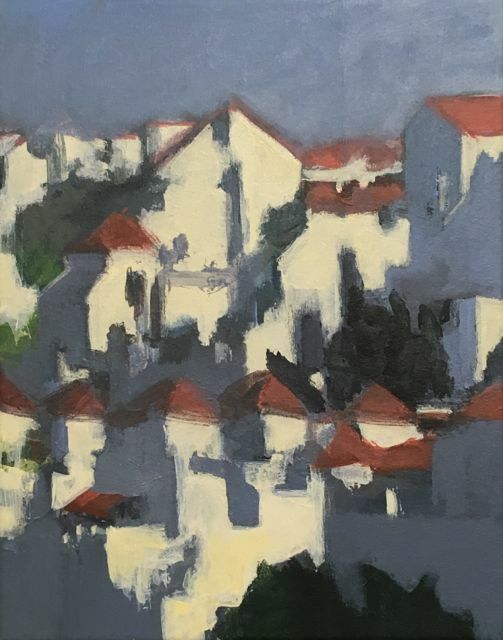 These practices led directly to the production of watercolor works between 2010-2014, which includes my recent painting showing at the Prince Street Gallery, “D.P.J. 2013” from 2013. Leah Raab: My recent paintings depict my feelings of displacement and relocation. 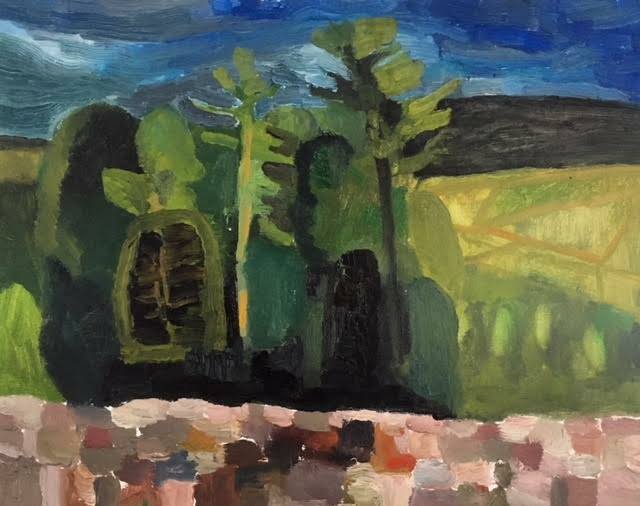 Paintings of significant and familiar scenes reflect internal tension: seemingly tranquil landscapes overlaid with a sense of impending danger that might explode at any moment. NYSS taught me to truly perceive the scenes that I wanted to capture. My work has become more representational and my color combinations more unconventional. Carlo D’Anselmi: The New York Studio School taught me many things, but above all, how to be an artist. 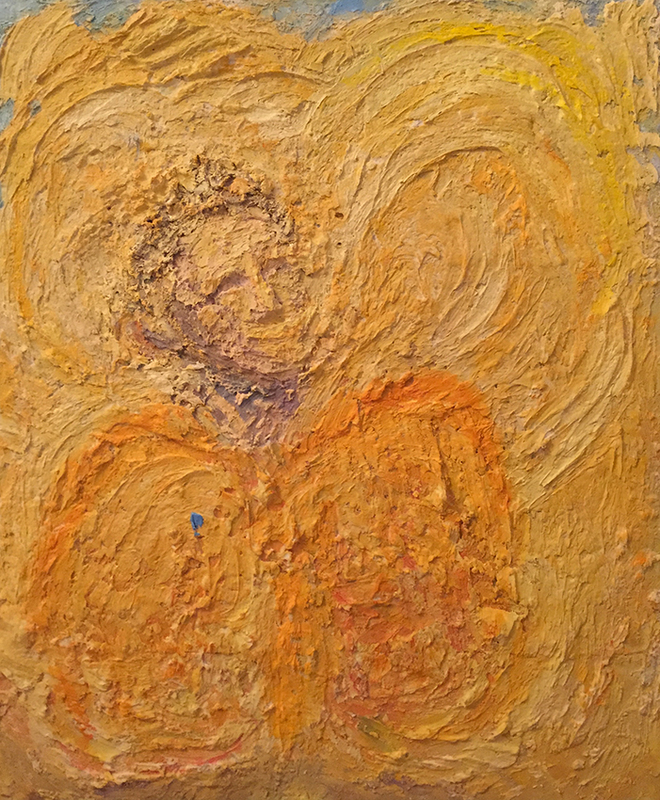 The painting was made while working outdoors, at a farm in upstate New York. I realized at this point I had enough influences in my head that I could afford to ignore a few of them, and that this was certainly a valuable lesson. 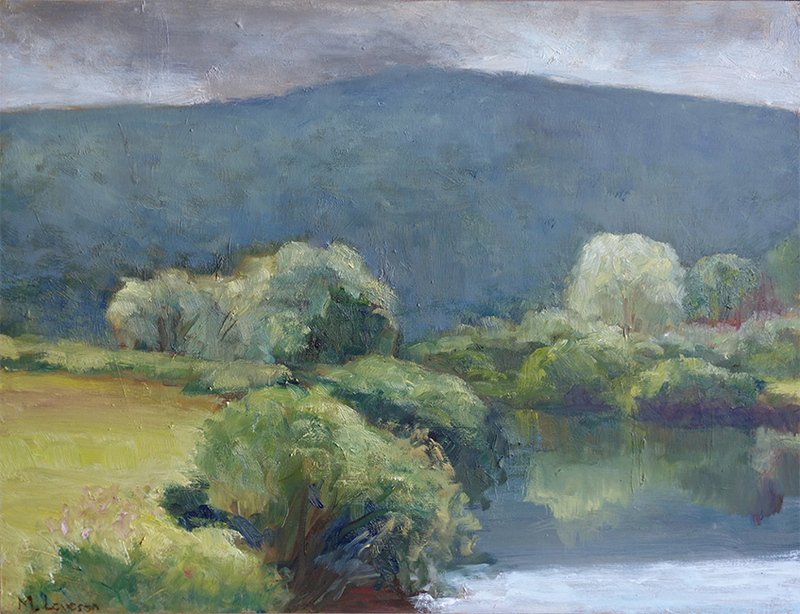 Linda Bail: My experiences at the NYSS have taught me that “painting is not therapy.” When I am planning a composition, whether it is in my studio or plein air; or deciding on my values or mixing colors; or applying the paint and then finally realizing that the value is wrong, then, reluctantly, scraping it out, I am always thinking. It is exhausting mentally and physically. What I do know is that I have a great grounding from the NYSS to help me figure it out. 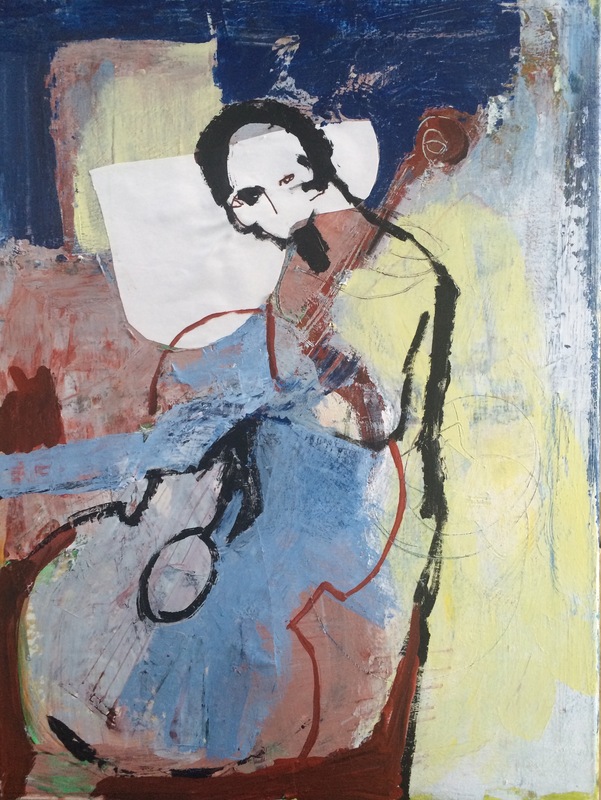 Åsa Schick: This painting was created at a time when I was highly frustrated, felt totally stuck and did not know what to do, or how to move forward. 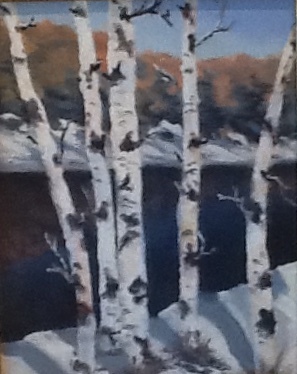 This is the second painting in this series. 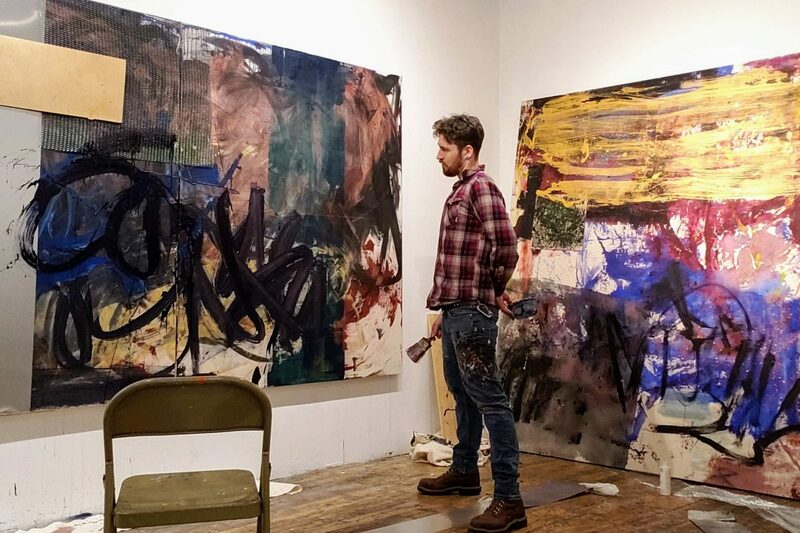 My experience at NYSS taught me to not quit and to explore new and inventive ways to make a painting work. I had a general idea of where the position of the head and figure should be and an approximate idea of the size of the figure in relation to the space around it. When the sculpting material had dried, I used tools to take away excess and also applied more in order to create form in space and to create rhythm— I made a lot of corrections. I used oil paint on top of the acrylic paint and I aimed to try to create a harmony in the color. I hope the painting feels bold, unpredictable and mystic, with a sense of poetry. Margaret Leveson: The many hours spent drawing from the figure taught me how to structure space, the push and pull of lines and forms. I also worked with Leyland Bell and Harry Kramer in the painting studios and with Sidney Geist in sculpture. All classes were from life. I liked the long hours spent in direct work. 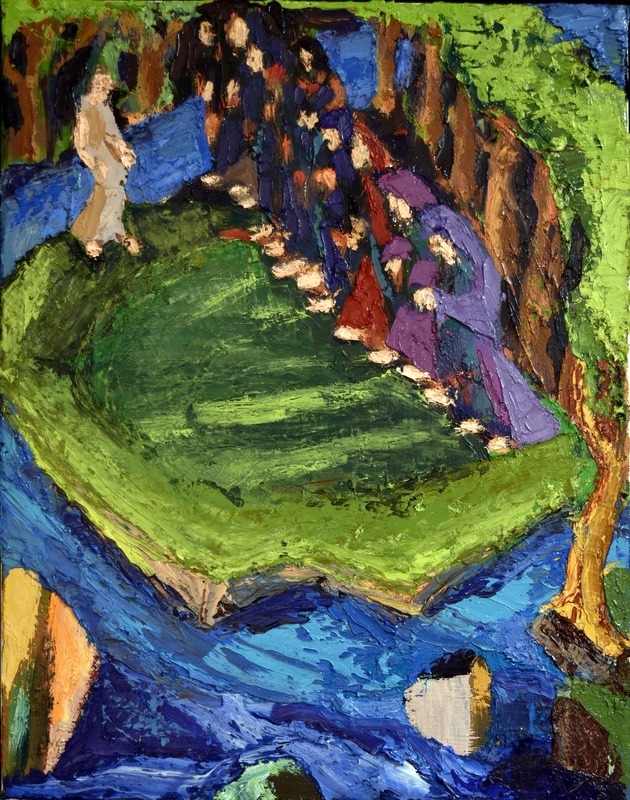 Eli Slaydon: The painting “A Choir,” which was included in the 2016 Prince Street Gallery Juried Exhibition, is a direct result of a process of painting that developed during my experience at NYSS. It belongs to a series of work that I have continued since I graduated from the school in 2012.